Where do I go to get ear piercing? Shear Madness Haircuts for Kids IS the place! 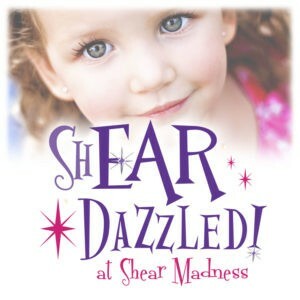 Get Shear Dazzled at Shear Madness Haircuts for Kids! Getting ShEAR Dazzled can be combined with our Diva Day Experience to make it even MORE special! A Diva Day is getting a fun updo, having sparkly makeup applied, and having those fingernails painted – then getting those new earrings as well – a before/after picture mounted on a DARLING Certificate! What an idea for a fun day or a great Gift Certificate, Birthday, or Holiday Gift! The cost is the price of the earrings you choose – the piercing is no extra charge! 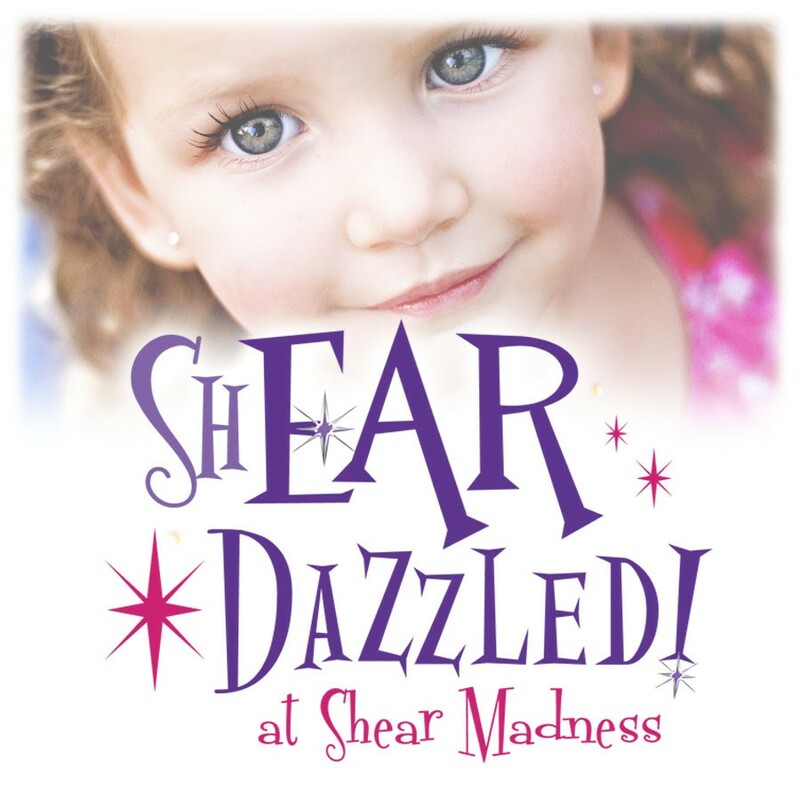 Every child matters at Shear Madness Haircuts for Kids, and we are committed to a safe ear piercing system with a staff of trained Shear Dazzled Piercing Specialists. Your child’s health and safety is important to us! Our Shear Dazzled Specialists will wear single-use disposable gloves, and make sure the ear is clean through the use of a disinfectant solution swab. They will then pierce the ears with a patented Professional Piercing System that utilizes sterile cartridges for the ultimate in hygiene. Additional features include pin-point accuracy, perfect alignment and a gentle action for a quick piercing. The ear is pierced and the clasp installed automatically. Simultaneous ear piercing is always done to make this a great experience! 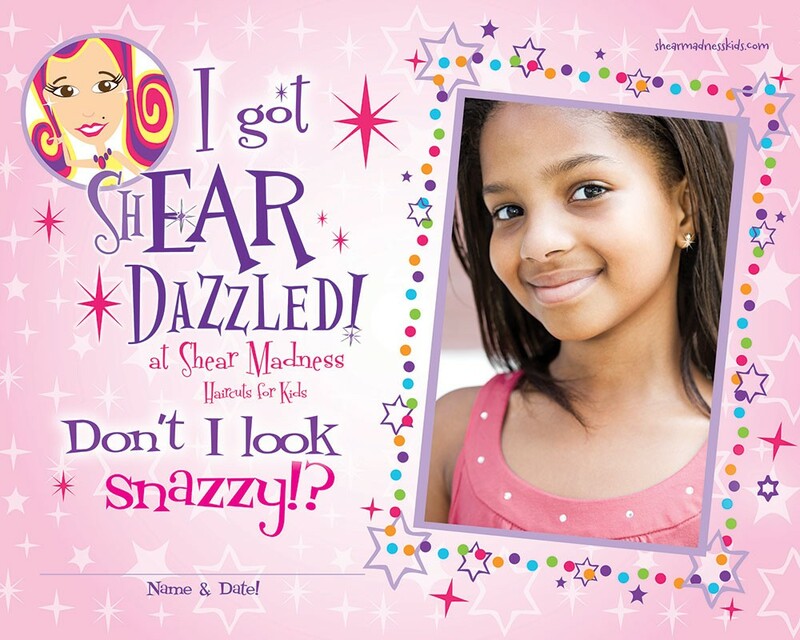 Shear Madness Haircuts for Kids uses hypo-allergenic earrings that are created using U.S. made surgical stainless steel, 14 karat gold or titanium raw materials. Please Make an Appointment for this SPECIAL service – we schedule for 30 minutes and 45 minutes to include the Diva Day. Scheduling ahead allows us to make your ShEAR Dazzled experience the absolute BEST!